BRITAIN’S DEEPEST LOCK NEEDS YOU! 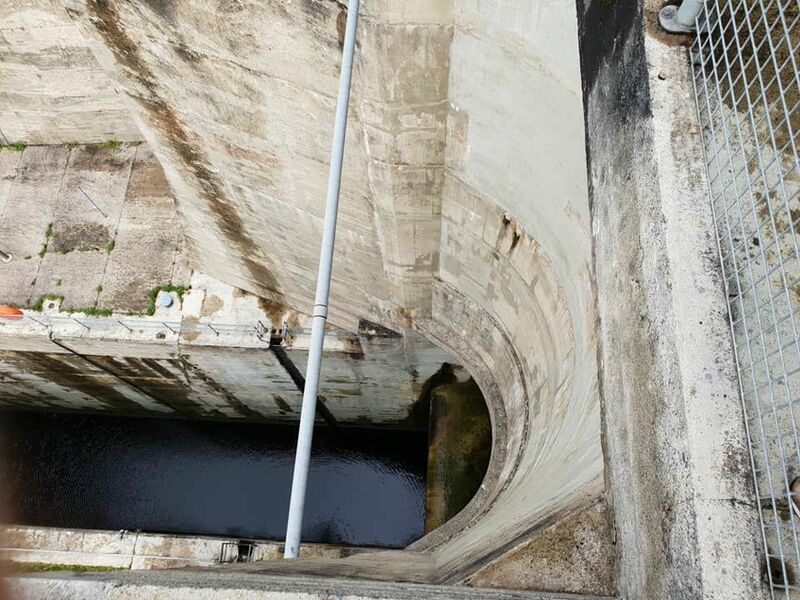 Could you help hundreds of people from all over the world navigate through Britain’s deepest lock? National waterways and wellbeing charity, the Canal & River Trust is urgently seeking over a dozen volunteers to take on the iconic role of lock keeper at Britain’s deepest lock. Tuel Lane Lock on the Rochdale Canal in Sowerby Bridge, West Yorkshire is one of the Trust’s most remarkable locks, lowering and raising boats almost 20ft (6m) as they make their journeys over the Pennines. For comparison, a typical double-decker bus is 4.4m. The lock is so deep because it does the work of two. Built in 1996 during restoration of the Rochdale Canal, it replaced a pair of earlier locks to enable the canal to tunnel under a road built on its original level and provide a more efficient route. 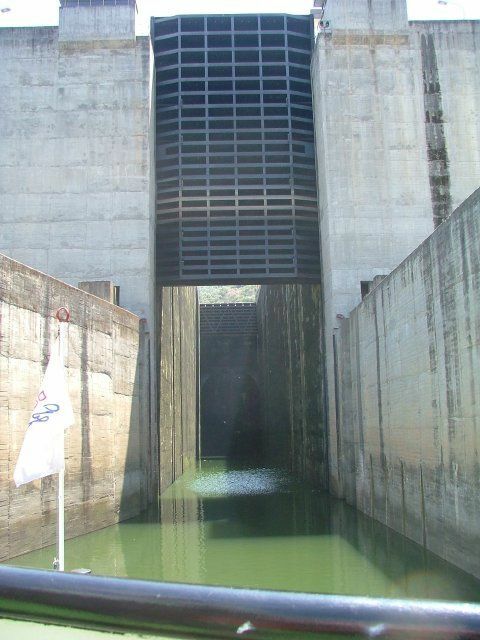 Members of the public are not permitted to operate the lock mechanism themselves, due to the depth and proximity to a canal tunnel. 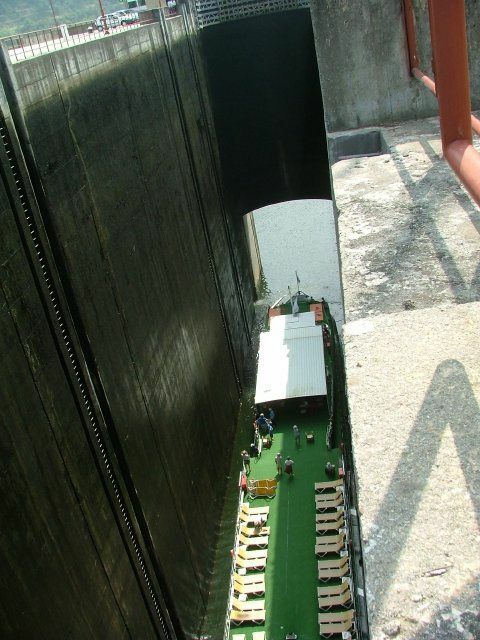 Instead, a Canal & River Trust lock keeper helps crews to negotiate the gates. Britain’s canals are more popular than ever before, with more boats using them than at the height of the Industrial Revolution. Last year over 1,000 people volunteered to be lock keepers with the Canal & River Trust, but now the network’s deepest lock is on the lookout for people to help out. Lock keepers have been working on Britain's canals for hundreds of years, although the role has changed over time. Today, they help to look after the nation’s beautiful waterways, assist boaters on their journeys, welcome visitors, provide information and advice to visitors on the towpath and maintain historic locks. I find it slightly irritating that I as a boater with around 50 years experience can’t work this lock with my boat in it, whilst some random person perhaps never been boating can do a brief course of training and then be let loose on it without really understanding what is going on. Of course some volunteers do know what they are doing, but the threshold of knowledge and capability is very low and there are plenty who don’t. 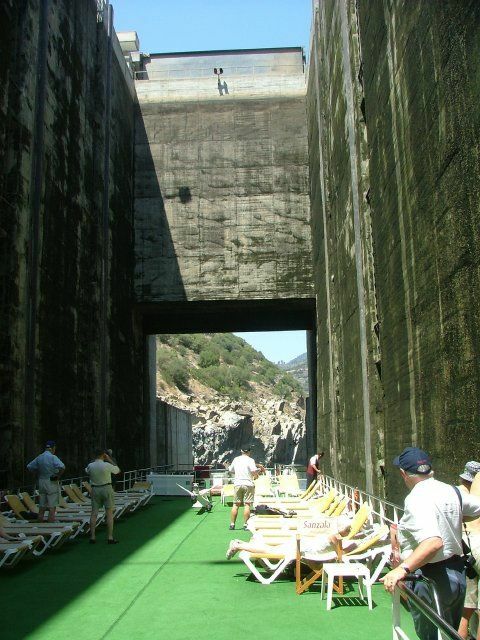 Deepest canal lock in France, 15 metres. There is a deeper one on the (river) Rhone. Sorry, can't remember the name of the thing, its on the Canal du Marne and Rhine. Its interesting that boaters are not allowed to work this lock, and that its fenced off to prevent public access. Bath deep lock is almost as deep, within a couple of inches, but is boater operated and fully open to the public. In fact the first time we did Bath some local students had placed a sofa right next to the lock and were having a bit of a drinking party. Tuel lane does have a short tunnel which is a slight complication, plus two sets of bottom gates, but then Bath goes up to a small pound that drains very easily so there is an increased risk of getting caught on the top cill. Northgate staircase is much more difficult than Tuel lane. Tuel lane is a nice lock, it works well, is attractive and well maintained, its a bit sad that its in the back yard of the shops as it must be a potential visitor attraction. Should something go wrong who is liable the VLK orthe helmsman? In most locks that would be a good question, but in Tuel lane the boater is not allowed to work the lock so the lock keeper (either full time or VLK) must be responsible, unless he gives instructions to the boater that the boater chooses to ignore? From the only time we have been through Tuel Lane, (uphill), my understanding was that the concerns are probably more about the effects of it being approached through that tunnel, than just it's actual depth, (or I suppose more accurately the combination of both things). When we went through you were required to stay below the next normal lock below it, whilst CRT staff emptied it, and only then proceed. There had apparently been very scary incidents with boats trying to be in the tunnel as the full depth of the lock was drawn off. When we went through I think it was permanent CRT staff manning - I also have concerns about some volunteers. We went up Tuel lane just two weeks ago, it was operated by a full time CRT man who was very good. We waited in lock 2 while he emptied Tuel lane as the pound was a bit low and the lock landing above lock 2 looked very uninviting (MacofCygnet of this forum was helping and advising). Its quite a long walk from lock 2 to Tuel lane including crossing a busy road. Rather than walking down I believe the lock keeper used to turn on the tunnel lights when the lock was ready but these are broken so instead a very loud whistle was used to let us know it was safe to proceed. An interesting stretch this. This lock is one side of the canal summit? Called Rechicourt? The other side is an inclined plane at Saint-Louis-Arzviller. 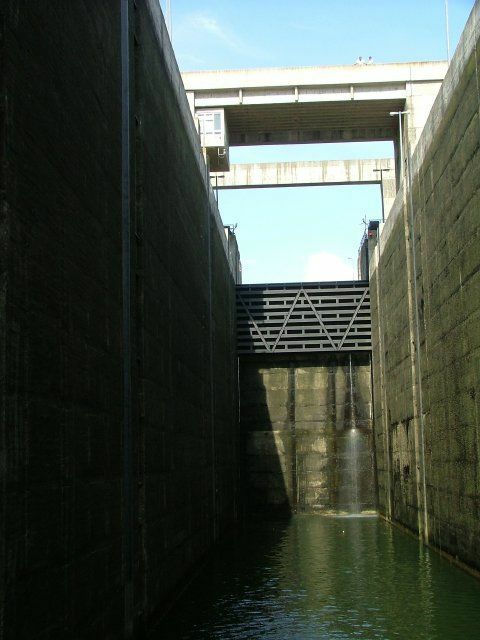 Both the big lock and incline plane replaced a series of original locks and were introduced to cut commercial boat journey times. It's an amazing stretch of canal and a lovely part of the world. Rechicourt! that's it. Beautiful place with the old locks still there. That lock fills and empties in much the same time as any other lock, very clever plumbing involved somewhere. It amused me to see the ladders in the lock wall, presumably you can climb out if things go wrong but its a hell of a climb. HOW deep? I've been through one in France which is over 10 metres (the top lock on the River Baise) and that was QUITE enough, thank you. Those locks are not nice. Wouldn't look forward to going through those. Especially climbing up the ladder. Did you lose the butler when you sold the Hudson?